Understanding America’s epidemic of prescription opioid and heroin addiction requires grasping certain statistics and trends, some of which I have highlighted in prior posts. At the same time, the stories of people on the front line must also be engaged if we are to truly understand the public health crisis of opioid addiction. 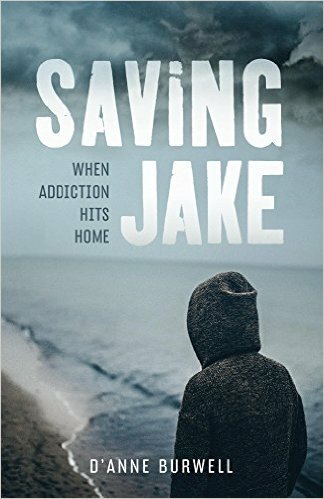 I just finished reading a fine book of this sort which I want to recommend here: Saving Jake: When Addiction Hits Home. The author, D’Anne Burwell, confounds the stereotypes of opioid addiction being a problem of urban ghettos and mean streets. Unlike the 1960s and 1970s heroin epidemic, the most recent wave of addiction has a solid foothold in white, middle-class suburbia. The Burwell family, with two dedicated parents, two promising, intelligent teenage children, a good income and good health insurance may seem utterly unlikely to be ravaged by opioid addiction. But by showing how even a family blessed with psychological and economic resources is not insulated from the epidemic, Burwell highlights the extraordinary power of opioid addiction over human behavior. D’Anne’s once cheerful, friendly, successful and athletic son Jake begins to struggle in adolescence for reasons that are initially not clear to his parents. His grades slip, he becomes thinner and less healthy, and he drifts into a social network where troubles fall like rain. He always seems to have an explanation for his travails, and his parents are initially satisfied by his accounts, not least because they want to believe there is an innocuous reason for their son’s struggles. But eventually they discover that Jake is addicted to Oxycontin. His poor grades as a freshman result in the loss of his scholarship. He tumbles downward from there, despite multiple stints in rehabs and numerous other chances to change. Burwell captures vividly the maddening nature of being a parent of an addicted child, both the sadness at seeing your offspring suffer and the hurt and rage at being manipulated and lied to. She learns over time the hard lesson that she cannot control her son anymore than he can control his drug use. But because she learns faster than he does, she lives in terror of the phone call that could come at any time informing her that her son has died of an overdose. The book is commendably honest about how everyone in the Burwell family at one time or another responds to Jake’s problems in ways that are not constructive. But at the same time it’s impossible for readers not to admire the Burwells’ grit. The way D’Anne, her husband and her daughter hang in with Jake through years of agony defines for me the word “family”. Many books of this genre define addicted people as having selfish personalities that come from being over-indulged by parents who can’t set limits. Burwell appropriately notes that this framework ignores the effect of addiction on family interactions. A parent who could once easily set limits may stop doing so because of fear that if they don’t rescue their loved one, they will overdose and die. Likewise, prior to the changes which persistent drug use exerts on the brain, an addicted person may have been selfless and giving; the constant felt need for drug can abolish that, producing the selfish behavior that may erroneously be labeled a pre-existing cause of drug use. This isn’t a medical book and isn’t intended to be. If you want to learn about the naloxone overdose rescue drug, naltrexone therapy or methadone maintenance you should look at a different type of book. But if you are looking for a candid, well-written account of the human experience of loving someone who is addicted to opioids, this quietly powerful book will stay with you for a long time.